ARIES – Those who are single might find someone very interesting today. But it would be advisable not to jump to any conclusions and take any sudden decisions. You can expect travel opportunities today. Your skill and expertise in dealing with business matters will make you popular among businessmen. Today real estate agents would not have to worry about business. Deals would go smoothly. The agents can look forwards to spending their day with their family. Politicians will see an increase in their supporters today as more and more people join their cadre or come out in their support. You may inherit money of property today. The initial process of transfer to your name will start today. 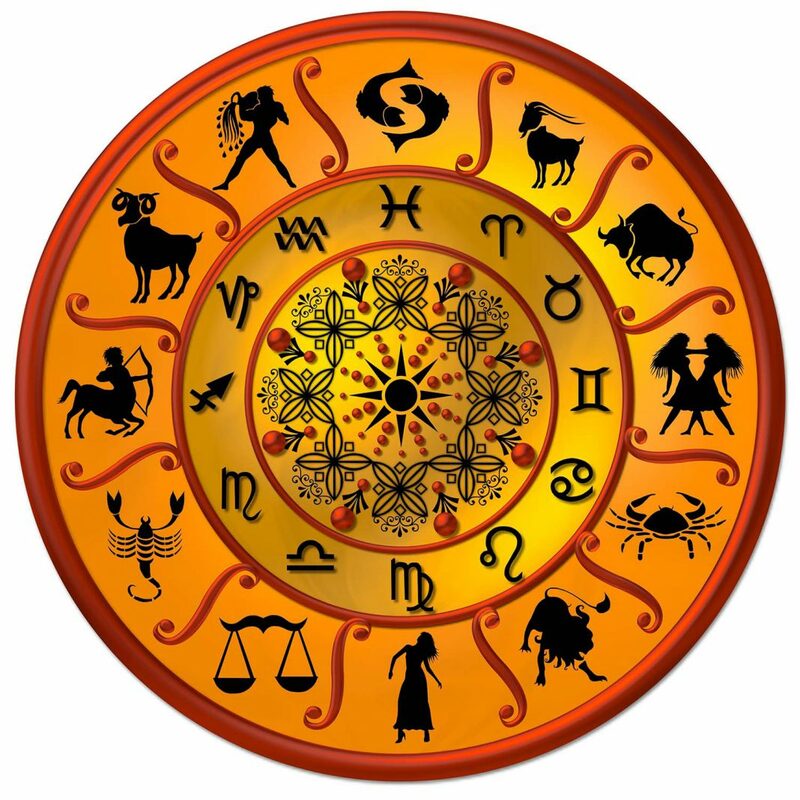 TAURUS – Those who are single might today enjoy an intense love life and a joyful personal relationship. Engineers may today connect with people in high positions which will benefit them in the near future. Accountant can enjoy a booming career today. They might take up new assignments from reputed firms which would greatly boost their career. Clients will today show their gratitude to share market brokers for having invested in reliable shares. They would be very happy with the returns they get from their investment. Politicians may be called on to mediate within the party members and resolve issues today. CANCER – For those who are in a romantic relationship and are ready to tie the knot, today might not be the best of the days to meet your would-be-in-laws. Businessmen would gain financially from new ventures. Students who are not in the habit of working hard may have to face a trying day today. Politicians would do good to listen to their conscience before they speak out in public. A usually favorable critic might today make adverse comments on artist’s work. They need not take it too seriously. A stable financial status is predicted. Cutting down on the expenses may be beneficial in the long-term. LEO – Those who are married may find themselves enjoying parties and get-togethers this evening. Try and explore new places that you haven’t been earlier, during your trip today. Businessmen and industrialists may today get an opportunity to make long-term property investments. Those in the real estate business might today buy some land or property. A favorable day ahead for teachers and their work today. You will focus on your finances and try to balance it. VIRGO – You love to spend your time outdoors. Today you will spend a pleasant, romantic day with your beloved outdoors. Parents and teachers would be proud of the progress may by children today. They may even be rewarded for their efforts. Doctors may have a busy and stressful day ahead. Accountants are advised to seek expert advise before wrapping up their current project. Else there might be problems which would surface later. Help from unexpected source will boost the career of sportspersons today. They should express their gratitude. SCORPIO – Those who are single are advised to accompany their friends to parties or functions. This might be their chance to meet potential suitors. You have an intense desire to travel and visit famous places around the world. You will today be able to plan your work in such a way that it can even facilitate your travel. Those who are unemployed may be rebuked by their parents and family for not trying hard enough to get a job. Technicians would be working under lot of stress today. They are advised to work on jobs that require intense concentration by taking short breaks in between. They can relax by listening to some soothing music. People in the accounting profession may receive news about their promotion. Or they might receive an order of change in their job function. Improvement in financial status would help you repay your loans. SAGGITARIUS – A difficult day ahead as you might find it tough to do some straight talking in a relationship. Do not waste too much time analysing things. An excellent day today for elders who have not been keeping too well to undergo holistic healing practices. Those seeking jobs are advised to be very careful and diplomatic during the interviews they attend today. Sportspersons who have trained hard for some time now will finally benefit from all their effort. They will set new records in their respective sport. You will be in the pink of health. So you needn’t worry about falling sick today..
CAPRICON – Today you might look forward to improving and old relationship. A good and happy day for the elderly. They would get along well with people of all ages they meet. They would also set examples for the young with their experience and zest for life. Doctors must be very cautious today and try to avoid getting involved in any controversies. It might cost them dearly. Students will be able to return to academics and broaden their horizons. Great opportunities will come by their way. AQUARIUS – Those in love must now let go of their past and open up to allow the future in. holding on to the past will only close them to the happiness that might come to them. Those who are single must now start thinking of their own welfare. They should now take off some of the extra responsibilities that they have been carrying upon them. Family functions or get-togethers today will make the elders in the family very happy. They would be glad to meet all their sons, daughters and other relatives. Those in the technology field may feel proud of their job as it will bring them fame and reputation. Students would today spend their time seriously preparing for their exams. They would not waste any time as they plan their schedule very efficiently. Sportspersons may expect to be rewarded for their achievements in their respective field. They might receive a lifetime achievement award. PISCES – Married people are advised not to trust their emotions today while dealing with domestic problems. These should be resolved very practically based on facts. Those who are single are advised not to be too moody today. Else they might lose some romantic opportunities. Those who are awaiting the results of a job interview would get a favorable result today. Those in the technology field will today be able to work satisfactorily as they would be cheerful and happy. Those in the legal profession would be appreciated by clients for their good negotiation skills. As they would manage to settle issues by themselves. Students might today have a dull day as they begin to feel as if their logical abilities have slowed down. They have been taking too much stress and need to relax a bit.